Still Open All Hours is a British 30 minute scripted comedy television series, which kicked off on November 26, 2013, on BBC One and is broadcast every Sunday at 20:30. The show is currently in its 5th season. 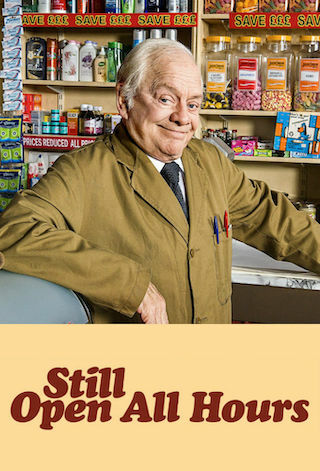 BBC One is yet to announce the renewal of Still Open All Hours for Season 6 as well as its cancelation. Sign up to track down the show's status and its release date. Still Open All Hours is a BBC television sitcom, a sequel to the 1973 series Open All Hours. The show was based around Granville, now running the corner shop with his son Leroy after inheriting the shop from his Uncle Arkwright.